I hope you guys had a happy weekend. It was cold and rainy in “sunny” Florida. For most people that would be a major bummer, but it gave me the opportunity to get organized and I really appreciated the extra time. 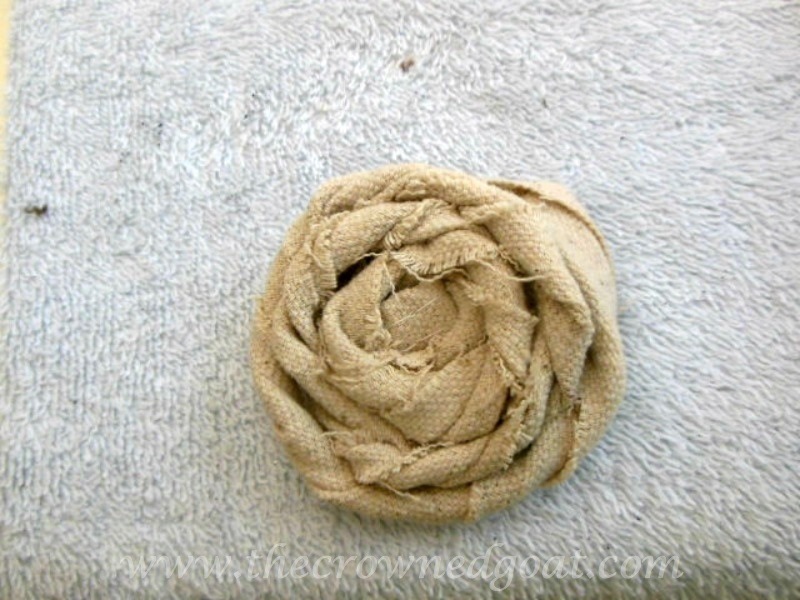 I was searching for fall inspiration when I came across this blog post from last year. 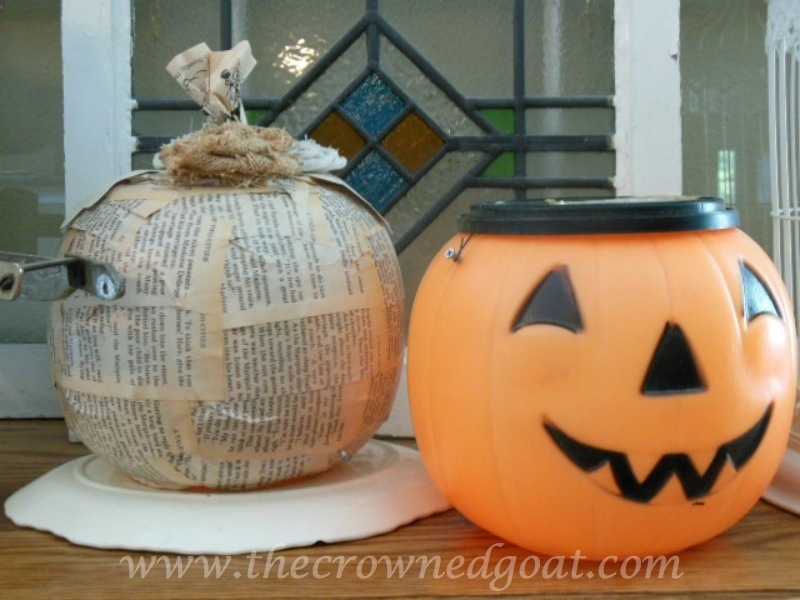 I spent the afternoon giving the plastic pumpkin pails of my childhood a major makeover. They usually top our scarecrows. But I wanted some neutral decorations for the house and the booth so I decided to upcycle these. Since this old dictionary was falling apart, I wanted to give some of the pages new life. 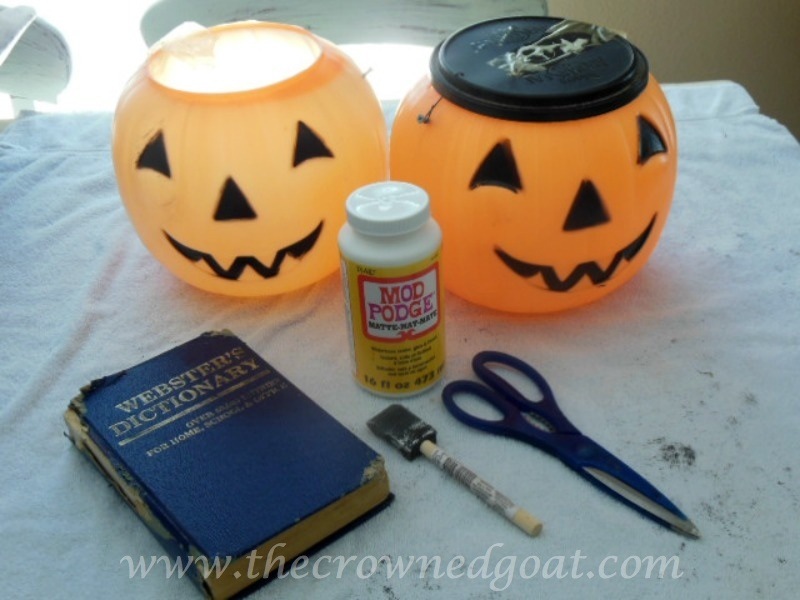 I glued the pages to the pumpkins using Mod Podge and a foam brush. 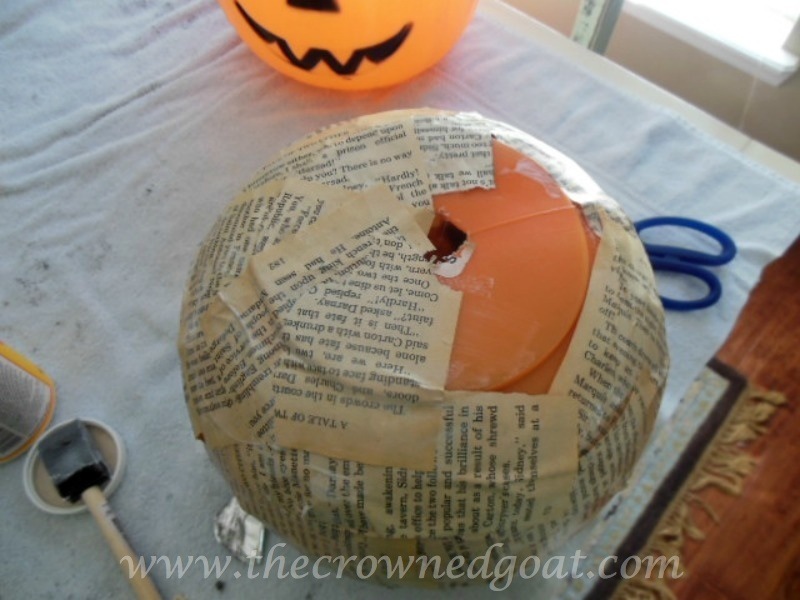 There was already a hole in the bottom of my pumpkin from the scarecrow pole but you can achieve the same look using an exacto knife. Exacto knives are sharp so make sure to use proper adult safety precautions. 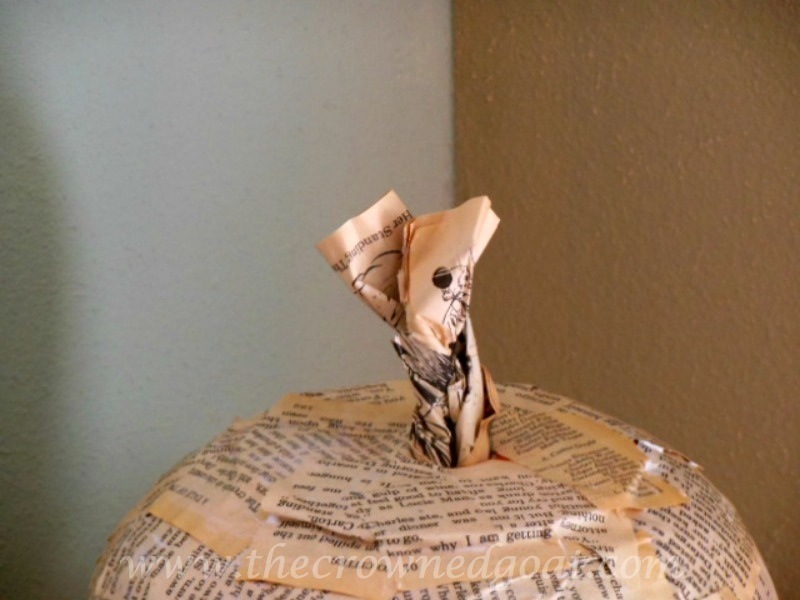 I took multiple book pages and twisted them together to create a pumpkin stem. 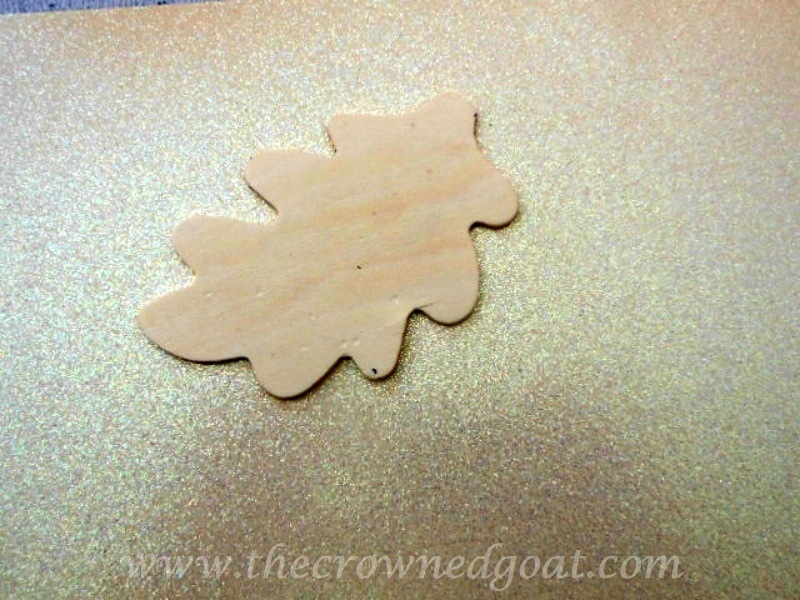 I used glitter scrapbook paper and traced the leaves using a wooden leaf ornament I bought at Hobby Lobby. And glued the leaves to the top of the pumpkin. I created fabric flowers out of scraps from various leftover projects. 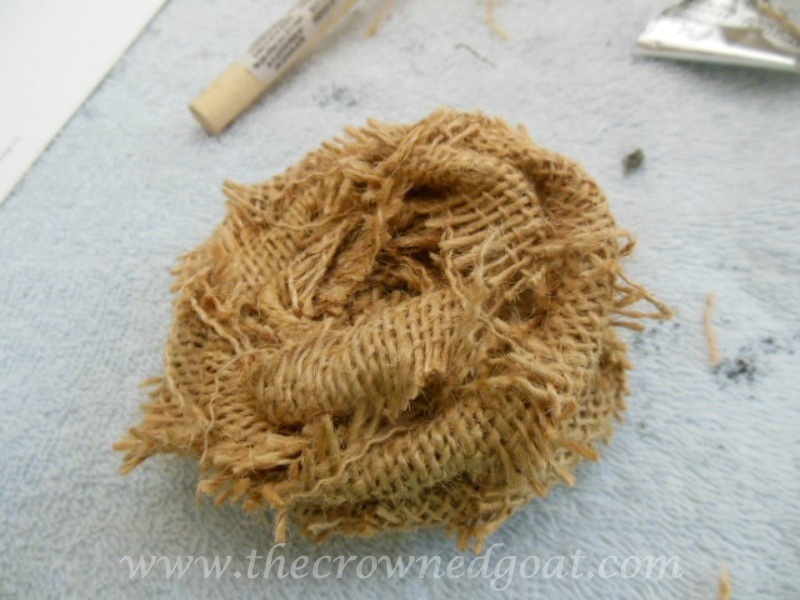 I twisted the fabric and kept the swirl held together using a hot glue gun. The best way to describe this is the way cinnamon, sugar and butter hold together the best bits of a cinnamon roll. 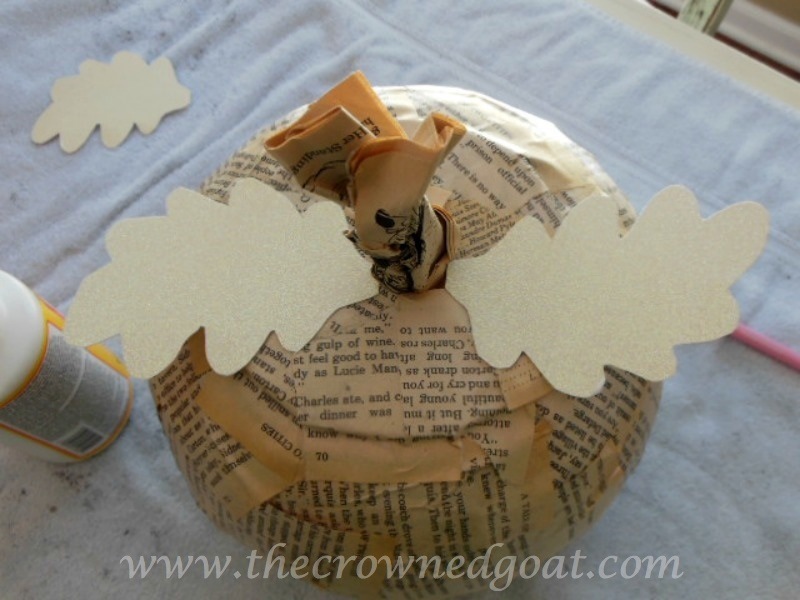 After the fabric flowers were finished, I added them to the top of the pumpkin with glue. Hey CoCo! 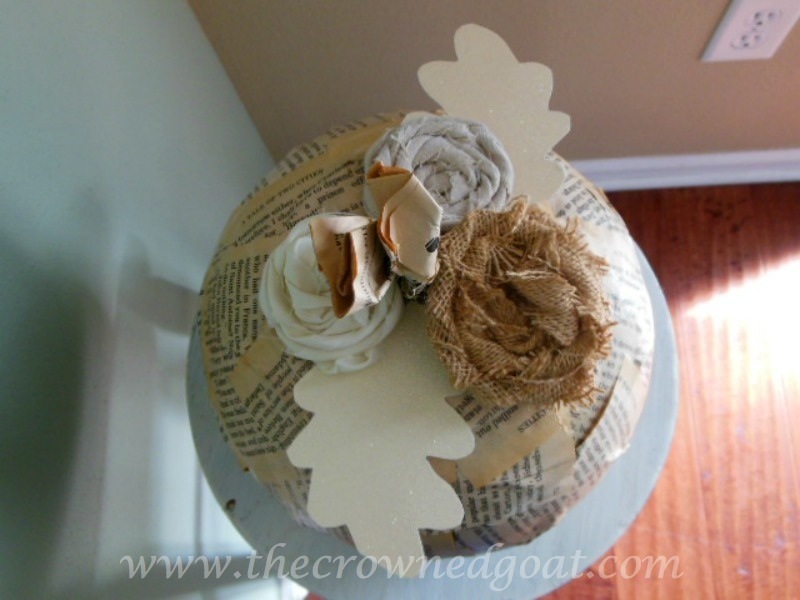 I love this craft project! You know we are all about book page art 🙂 Thanks for the inspiration. Just imagine if we could all craft together, Angie, we need a crafting retreat! CoCo these are so cute! And seem easy enough to do. I think I’ll be in the storage room later this week digging out the girls’ old ones! Liz, I hope you have a great time giving your old pumpkins a new look too! I LOVE this idea! Thanks for sharing it! It turned out beautiful! Thank you so much Iris! I appreciate it. I loved your Halloween mantle post too!